It is virgin coconut oil which is extracted from coconut milk which is for hair and body massage. 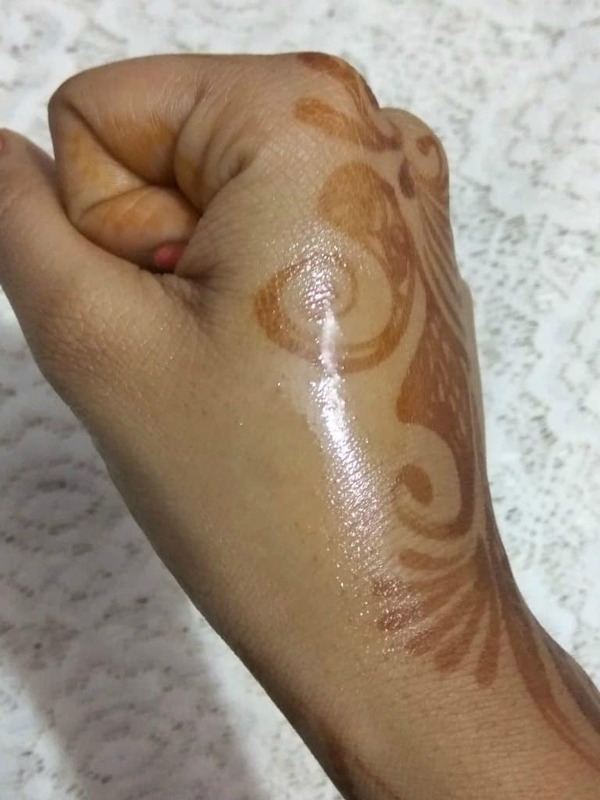 It can be used by anyone (men and women) except the ones who are allergic to oil as there are lot of people who develop acnes on their face due to use of oil on the scalp. It bought it for Rs. 650/-(250 ml bottle) from a Fabindia outlet. 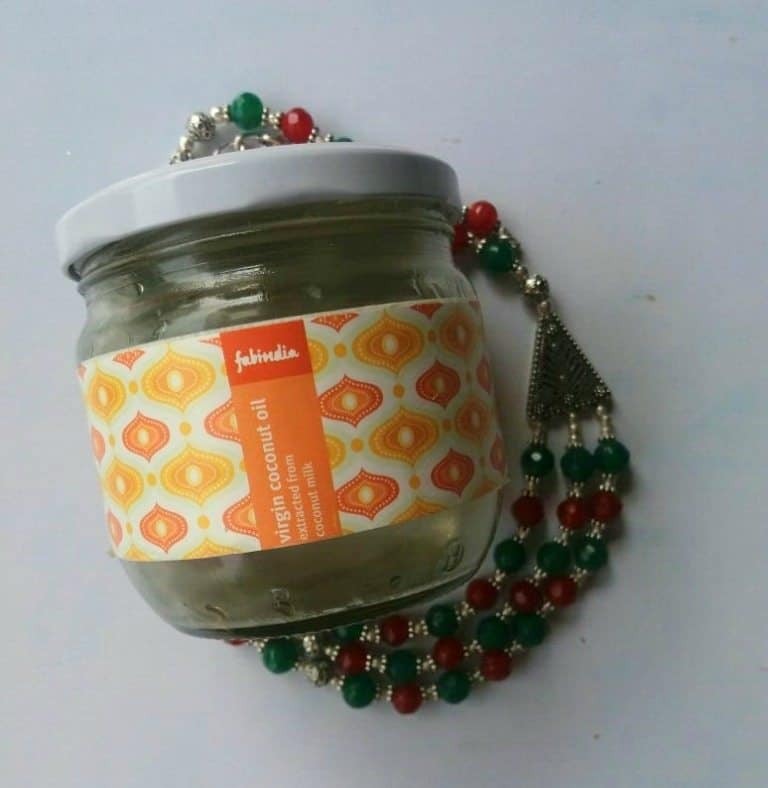 What does the brand claim about Fabindia Virgin Coconut Oil? 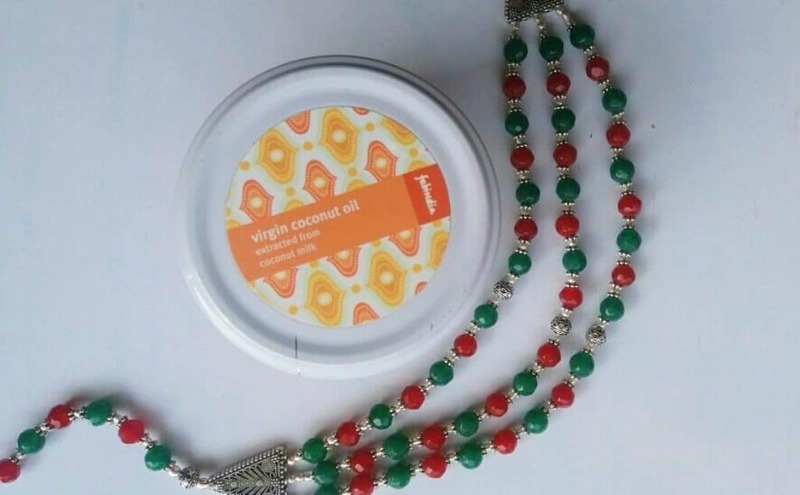 The brand claim claims that the virgin coconut oil extracted from coconut milk is made with light non greasy virgin coconut oil extracted through cold process preserving the natural goodness of oil. The oil known for its moisturizing properties nourishes and hydrates the skin. It adds softness, luster and shine to your hair and stimulates hair by getting deep into follicles. It can be found at any of the Fabindia outlets. Apply on body and scalp. Massage with required pressure and wash off after an hour. Don’t put moist hands in the jar as there is development of fungus when oil comes in contact with moisture. Keep the container in a cool and dry place, away from direct sunlight. This is second product of Fabindia I have used after a very long time and every time it impresses me with the quality of the product though at a very heavy price! It has a sturdy wide mouth air tight glass container. 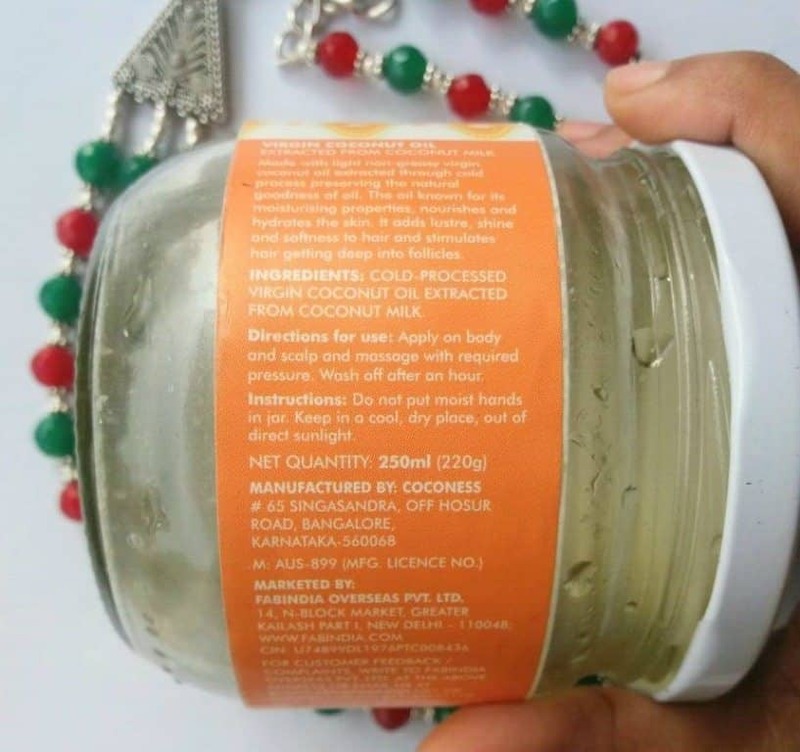 The product contains only pure coconut oil as its ingredients which make it a quality product. I bought it in winters and to my surprise it did not solidify which in itself shows the purity of the product. Coconut Oil is very light-weighted and it does not feel heavy on your face and scalp. Massaging with it gave really good results on both my skin and hair. My skin visibly improved and my hair which is very frizzy looked nourished after 3 to 4 massages. I did not like the container because it is difficult pouring out oil as you may end up pouring out excess of oil which may not be required. Overall Will I recommend and repurchase? I would recommend and repurchase only for those who do not mind shelling out heavy amount if they don’t get comprised on the quality as it is quite expensive as compared to other brands. Dedicated to Pregnant Shoeaholics ! !